Its been over 20 years since Princess Diana died. But the pain and shock still makes it seem like yesterday. But speaking about sensing your own coming death, Princess Diana feared she would be killed after the murder of her friend Gianni Versace. When the famed designer was killed, the royal was on a yacht in the Mediterranean with her lover Dodi Fayed when she received the tragic news of his death. In a shocking tragedy which occurred right on the steps of his own home, the fashion designer, aged 50 and at the top of his game when he was shot dead by serial killer Andrew Cunanan outside his Miami mansion in 1997. At the time of his death, the Versace Brand was a billion dollar fashion empire. The designer and the late Royal were quite close, so it was understandably a big blow. 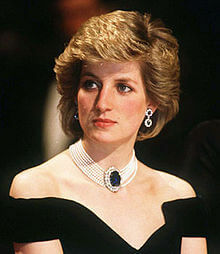 Princess Diana famously posed on the cover of Harper’s Bazaar in a stunning Atelier Versace gown and attended Versace’s funeral — sitting beside Elton John, Sting, Karl Lagerfeld and Anna Wintour. On the morning after her friend’s murder, Fayed’s bodyguard Lee Sansum found Diana on the yacht’s deck gazing out to sea, the Express reported. In a more ominous report, Diana also expressed concerns she would be killed in an establishment conspiracy. “They will do it when I am in a small plane, in a car when I am driving, or in a helicopter,” she is said to have told her fashion designer friend Roberto Devorik. Her premonition of death wasn't mere fancy. Just seven weeks later, Diana and Fayed were killed in a car crash in a tunnel in Paris, shortly after leaving the Ritz Hotel. She was just 36 years old.